Showing results for tags 'hypertech'. 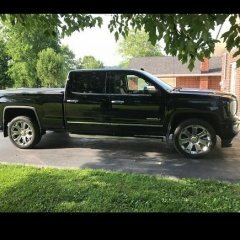 I got a 2018 GMC Sierra with the eassist package. I never thought of this thing as a hybrid but GMC does classify it as such. One of the digits in the VIN specifies that distinction. I also recently picked up a Hypertech Max Energy 2 because I liked the options it provides for the AFM, specifically the speed at which it operates. The Hypertech didn't work, says the truck is not supported. A call to their tech support confirmed that the issue was the fact that the truck is a hybrid and they do not support that. So my question for the forum is, anyone know of a tuner that is supported on this "hybrid" pickup? From reading sites of other tuners it doesn't look like anyone makes this distinction of hybrid. I can return the Hypertech so a trial & error approach of purchasing another tuner and seeing if it would work is possible, but time consuming and annoying. Thanks in advance for help or suggestions. Selling my Hypertech Max Energy 2.0 programmer, works for a wide variety of makes and models so please check Hypertech's website to ensure the correct part number for your vehicle. Features vary by make and model but some things I was able to do were: - AFM disable or adjust to speeds -adjust for tire/gearing changes -top speed limiter adjustment -rev limiter adjustment - shift points - shift firmness -throttle response -87 & 91 tunes -Tow settings just to name a few. Comes with all parts, cables and CD. Selling for $265 SHIPPED! Hey Guys, My tuner came in yesterday and I plan on tinkering with it this weekend. I thought it was odd that it didn't come with any manual and only a cd, I had to go with Hypertech because I live in CA and of course they are ridiculous about everything.. Anyways, I was hoping someone could drop some knowledge on me for the 2014 Silverado and how the tuner performed. If they like the performance or power tune better and what are the pros and cons of each? Benefits/Cons of turning off AFM? Did you feel a big change turning off V4? Also, My Speedo is off by about 6 mph when I get above 45+mph so I need to calibrate that as well. I have the stock tires so I'm not sure how or when it got out of calibration but it is. Any help on that front would also be appreciated. Those are the major changes I wanted to make. Any other suggestions would be greatly appreciated. Thanks! Hi guys. Was wondering if anyone had a easy way to keep a check on fuel octane levels? I saw this Russian made device OKTIS-2 http://www.ebay.com/itm/PORTABLE-FUEL-OCTANE-NUMBER-ANALYZER-TESTER-METER-OKTIS-2-NEW-/161886552305 looked like it would be useful for keeping an eye on octane levels and it is cheap (under 100 bones). looks like you just stick it in the tank and then pump some fuel through it, seems rather ingenious but not sure how accurate the thing would be? The reason I am looking is that I recently installed a canned tune from a hand held programmer for premium fuel 91 plus octane in my 16 Denali 6.2 I buy Shell 93 octane and the truck has run great for the first week after that premium fuel tune install but after I filled back up with Shell 93 octane last Thursday the next morning on the way to work I got the "reduced engine power" warning on my dash anytime the engine was over 3000rpm. I suspect that the fuel was BAD from my local Shell station but have no way to prove that...... I went back to stock tune friday afternoon and the issue is gone but now I do not want to use the premium tune without verifying that I am actually getting 91 octane or better fuel. Note: Gas line was busted in AL a couple of weeks back and Middle TN has suffered from spotty shortages of fuel (most notably premium fuel) I suspect that my local Shell had regular fuel loaded into their premium tank. (could have been a mistake) my plan is to run this tank all the way down to just a few gallons and then hopefully have a tester in hand and fill back up with REAL premium 91 plus octane fuel. Anyone got one or have something else that they use? So recently picked up a Hypertech Max energy (32000 model/ updated) from a friend for a 100 bucks, seems to work really well! noticed its got little more balls and the shift points really woke er up! Curious to see what everyone is running for settings off these things!